It's that time of year again as the air turns crisp, pumpkin explodes into everything, and apples are begging to be picked! Our Fall family tradition has become picking apples as well as choosing pumpkins and mums for the front porch and my kids are already asking when we get to head to the farm! We love the local fall festivals and Triple B Farms has stayed at the top of our list. Ride a wagon to the pumpkin patch to view Storybook Pumpkinland, pick apples from the trees at kid height, slide down the Liberty Tube, munch on apple cider donuts + much more! The Fall Festival opens the last weekend in September (9/26-27) and runs each weekend through the end of October. Open Saturday/Sunday, 10am-6pm. Beginning Oct. 7th, they will also be open W-F, 4-7pm. A wristband gets you unlimited access to all activities! Adults: $8 / Kids: $12. Face painting + pony rides are $4 each. 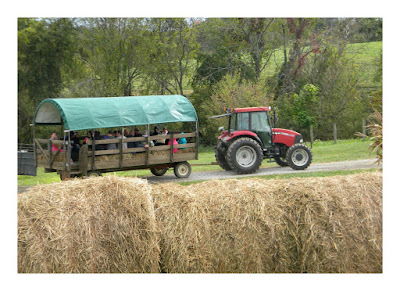 A hayride to the pumpkin patch takes you through Storybook Pumpkinland where your kids will delight to identify 250 storybook characters from nursery rhymes and children's movies. 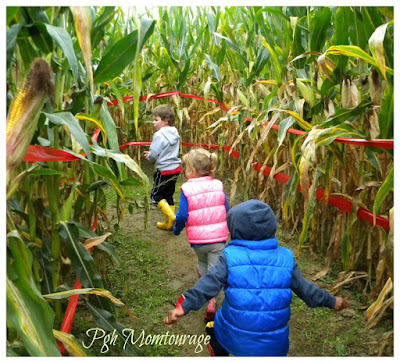 The corn maze, bounce houses, duck derby, farm animals and wooden play structures are just a few places around the farm that you will want to stop! These slides are one of the highlights of our visit for my kiddos! Grab a burlap sack, chug up the hill and get ready to take on the Liberty Tubeslide. Nothing beats a freshly picked sack of apples and we have a hard time making sure we come home with a full sack. :) The dwarf apple trees are at perfect kid-height, so parents can sit back and let them do the work! 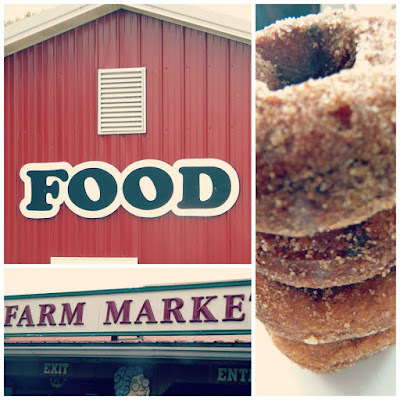 The food barn has been known to hold such treats such as apple cider donuts and pumpkin fries with caramel dip. I don't know for sure what they have planned for this year, but I have no doubt it will be tasty! 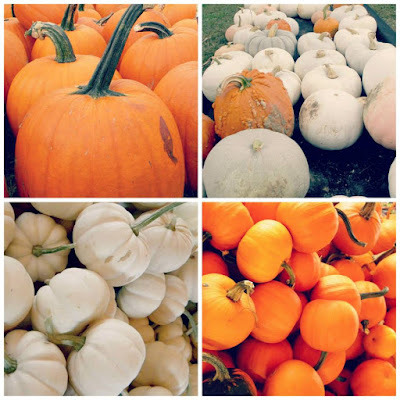 There are plenty of beautiful options for your front porch pumpkin display! My kids can't wait to pick their special pumpkin. Orange, blue, white or gnarly.....we love them all. Oct. 12: COLUMBUS DAY. ALL Activities Open 12-6pm. Extra Day of Fall Fun! Oct. 17: Special Music Presentation. Oct. 31: Treats for Children ALL Day! Happy Halloween! Nov. 1: LAST Day Savings! Stock Up for Winter! Call for details. 724.258.3557. This post sponsored by Triple B Farms. All opinions remain my own. We would be most excited to take our 1 year old on her first hayride and let her pick a pumpkin. Our family would be most excited seeing our 2 year daughter picking her pumpkin and enjoying the activities. She has never been on a hayride yet! Storybook pumpkinland is the best! My husband and I were just talking about how much fun we all had last year here. Would loooove to win this giveaway, how awesome! Thanks for the opportunity! Although I'm pretty sure my daughter will enjoy everything there, I think she would really like picking apples. And picking out pumpkins to decorate our home. We would love the storybook pumpkinland! Have a 2yr old that loves storytime! Also we'd love to do the corn maze! A new fun experience! This would be a great first for my family!! 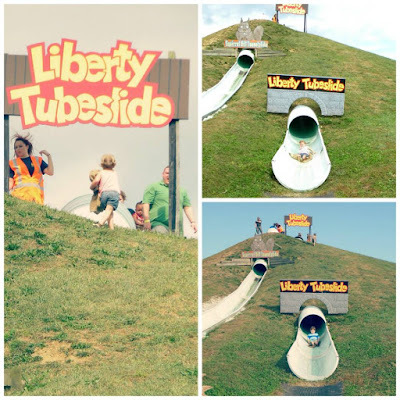 I think the liberty slides would be the most anticipated activity! This will be our first year checking out this farm and we are so excited! Very excited to check this out! We always go to attach but this looks like it may be even more fun! Excited for donuts and to see all the pumpkins! We love Triple B! It is a fall tradition for our family. I'm so excited to take my two year old. It will be her first hayride, corn maze, and apple picking. My older two would love the slides and my toddler would enjoy a hayride! 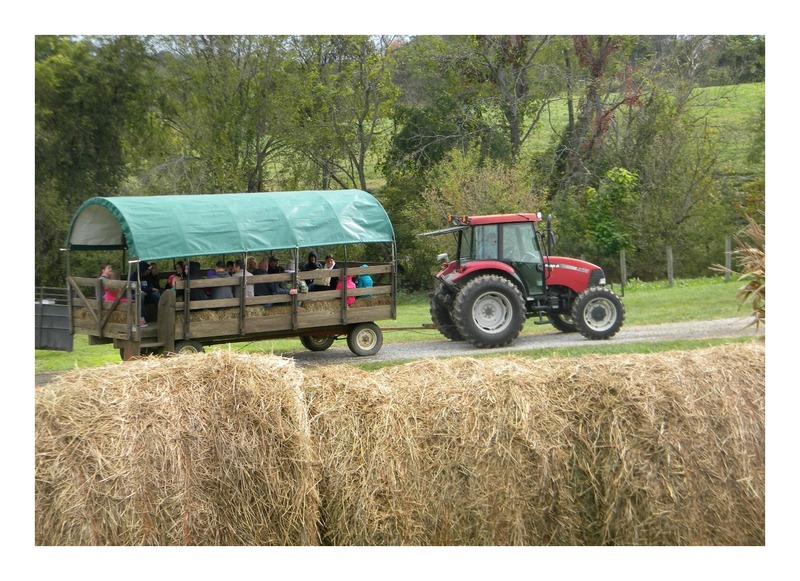 Can't wait to bring the kids out to the farm! 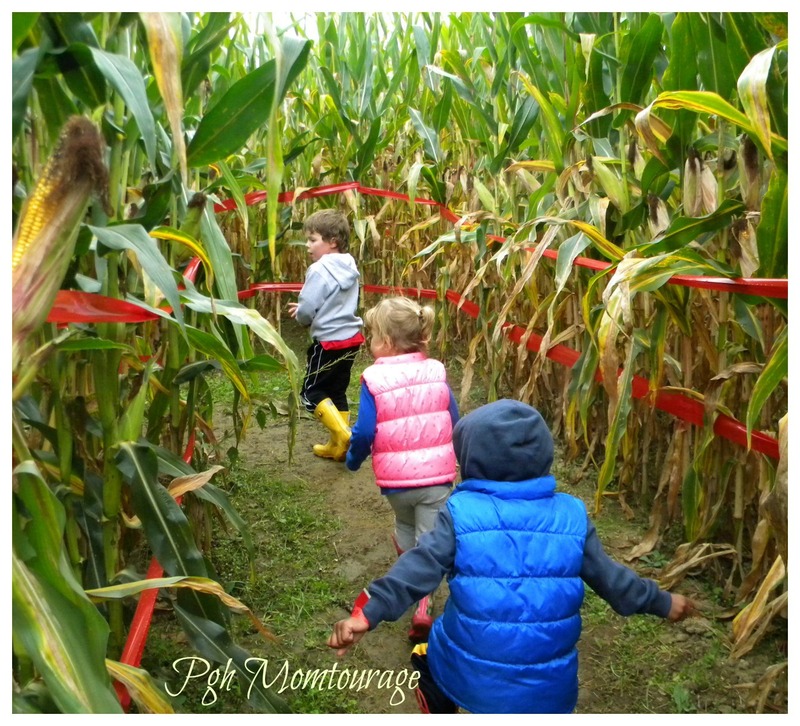 Pumpkins,apples,apple cider,corn maze! Great family memories! So much fun! I am most excited about the apple cider and we are hoping for a hayride. This would be a great first visit for my family. We haven't been to Triple B in a few years! We would love to go back now that we have a little one! i'd love to try the apple cider donuts! My daughter would love the pony rides! Have been wanting to take our boys there - I've heard great things! Nothing says fall lime a trip to Triple B! My trio loves everything about the fall festival! I've heard lots of good things about this place. Can't wait to visit!! 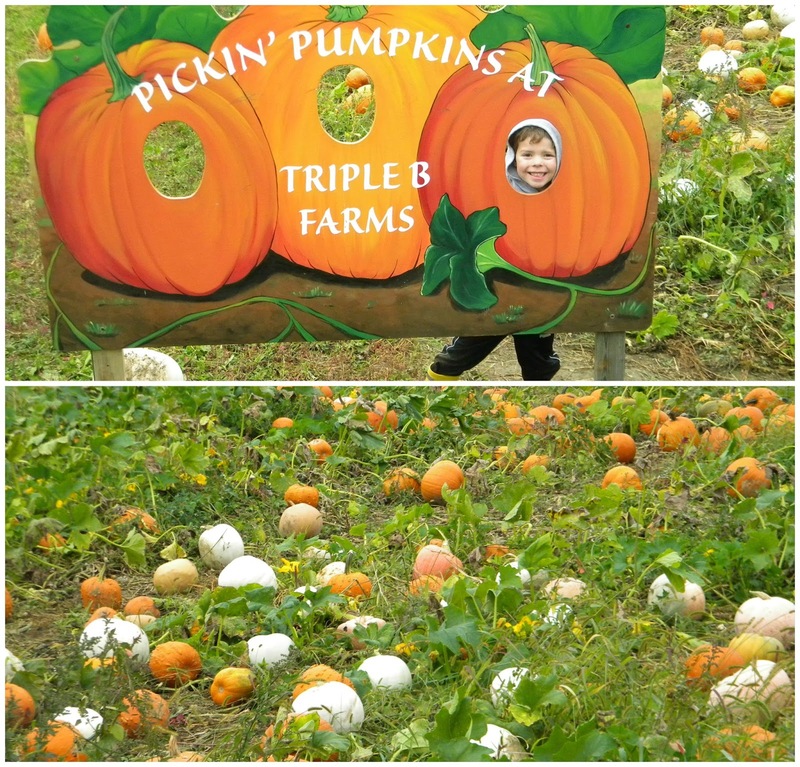 I'd love to be able to take my kids for the fall festivities at Triple B! 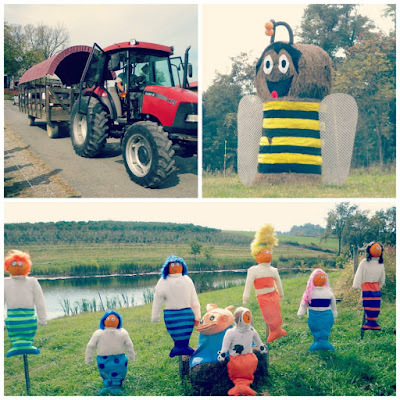 Their farm is fabulous! The kids would love the hydride and pumpkin picking! This would be our first time to this farm! 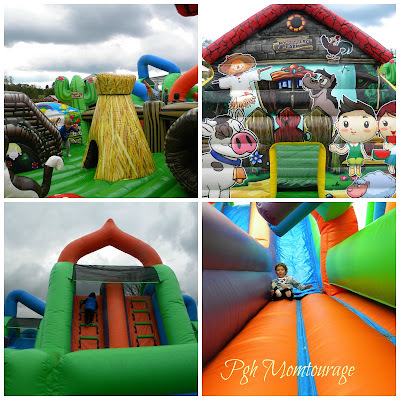 It looks like there is so much to do and so fun! We'd love it! 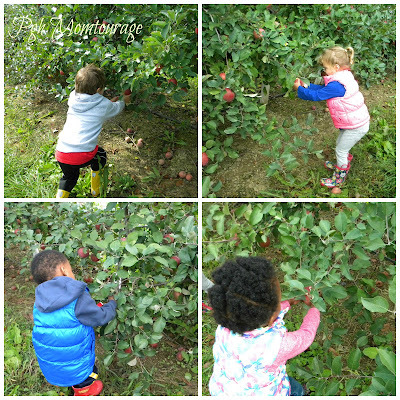 We love picking apples, but the slides, pumpkins, and hay rides are all so much fun too! We have never been, but have always heard good things. Our go to is Simmons, but always up for something new! We weren't able to take our son last year. Winning these would be great ! We will love to visit this farm. It looks fun. My boys are most likely excited about the slides! !